Reggie Osse, the influential host of the "Combat Jack" podcast and a retired lawyer to hip-hop stars, has died at 48, according to The Root. Osse, who also went by Combat Jack, announced that he was battling colon cancer in October. Osse was known in the 1990s as an attorney who represented Jay-Z, Capone-n-Noreaga and Roc-A-Fella records. Later, he retired from law. Osse worked as an executive at MTV and the managing editor of The Source magazine before he started the influential podcast "The Combat Jack Show" in 2010. Osse tackled hip-hop culture and race on his podcast and interviewed artists on his show and was considered a pioneer for hip-hop podcasts; he called himself the "anti-NPR voice." 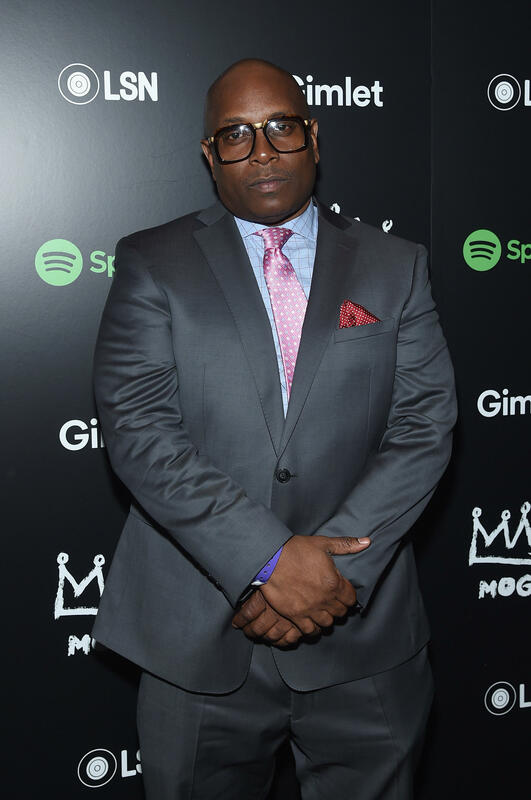 In April, Osse narrated an original Spotify podcast called "Mogul: The Life and Death of Chris Lighty," which explored the life of the late music executive who managed Diddy and Missy Elliott. Lighty died in 2012 by apparent suicide. The New Yorker's Sarah Larson named the podcast one of 2017's best. In October, Osse revealed that he was diagnosed with colon cancer on Twitter, saying that he had to be rushed to the hospital for surgery. "I'm about to jump on this journey to health with chemo and alternative medicine," he tweeted. "Take care of your health. Your boy aint going nowhere though. We're gonna keep doing this. Keep rocking with us." People in the hip-hop community mourned Osse's death on Twitter. reggie osse was one of the smartest and most helpful ppl i met in this game. he was my listener and i was his. and i hate to know he’s gone. r.i.p., @combat_jack. Damn. Rest In Peace Combat Jack. Combat was a living history book for hip hop and was always down to share that information. More importantly, he was kind. We need more of that. And his presence will be missed deeply, but he’ll never be absent. Rest in peace Combat Jack. Rest In Peace to the Legendary Combat Jack. And thank you for everything. RIP Combat Jack, who let us into his family and onto his podcast, who brought donuts to our apartment and carried stories for days. He left the Lil B show screaming "swag!" and saying he'd seen the future. A great laugh, a great mind, a great friend and a better man.